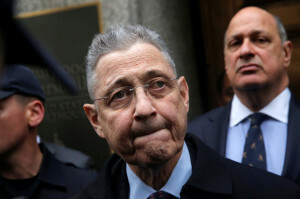 New York has cut a worm out of the Big Apple with the conviction of corrupt former Assembly Speaker Sheldon Silver, but its courts are still rotten to the core when it comes to asbestos litigation, according to a new report. The American Tort Reform Association’s 2016 “Judicial Hellholes” report ranks New York City’s special asbestos-litigation division as the third most friendly to plaintiffs in the nation. The top two are St. Louis and the state of California. The report blames New York state’s highest court, whose judges are appointed by the governor, for expanding liability to companies that neither manufactured nor sold cancer-causing asbestos. A ruling against Crane Co. left the industrial corporation saddled with an $8 million jury award in favor of a Navy technician named Ronald Dummitt — even though he got cancer from another company’s product. The New York Court of Appeals found that while Crane Co. manufactured innocuous valves for Navy ship boilers, the valves were fitted with asbestos-laden gaskets. The court made that determination after finding that Crane execs were aware of dangers associated with the gaskets and promoted the two products together in a catalogue. The appellate judges “simply enlarged the stream of lucrative asbestos litigation,” said Lester Brickman, professor emeritus at ­Cardozo School of Law. The average award for asbestos cases in New York — $16 million per plaintiff between 2010 and 2014 — is at least two times larger compared with other courts nationwide, according to data mined by Bates White Economic Consulting. The report notes that Silver’s former law firm, Weitz & Luxenberg, still has a heavy hand in influencing the courts, with partner Arthur Luxenberg serving on a judicial-screening committee. Brickman said the report shows Silver left a troubling legacy. “When he was speaker, he exercised influence, but he also set up a system which now operates without him as effectively perhaps as it did when he was speaker,” Brickman said. Silver was sentenced to 12 years in prison for ­using his elected position to take $5.4 million in kickbacks and bribes ­related in large part to ­asbestos litigation. He remains free while he appeals his conviction.